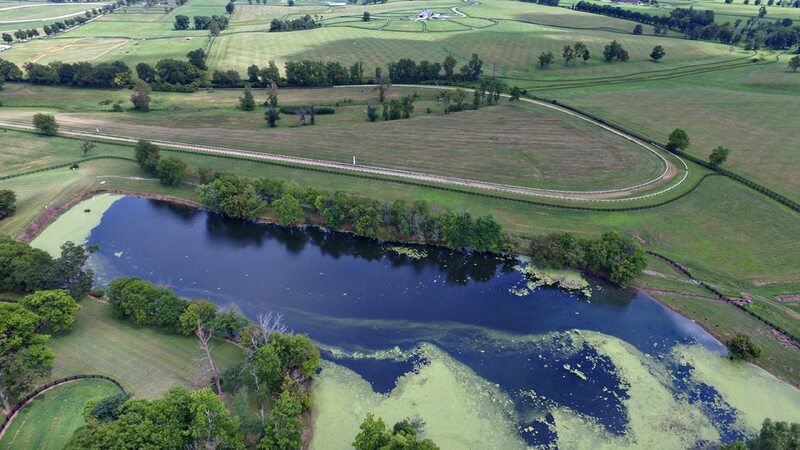 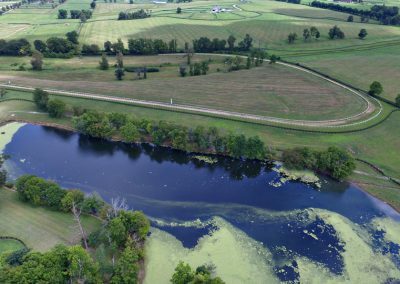 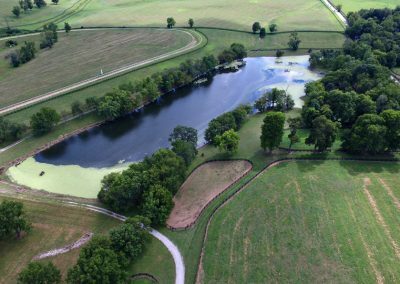 Located on 262 gently rolling Kentucky bluegrass acres of mineral-rich limestone based, calcium-rich grazing which provides a perfect natural base on which to raise young runners of exceptional quality. 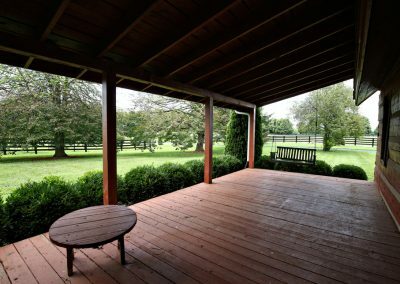 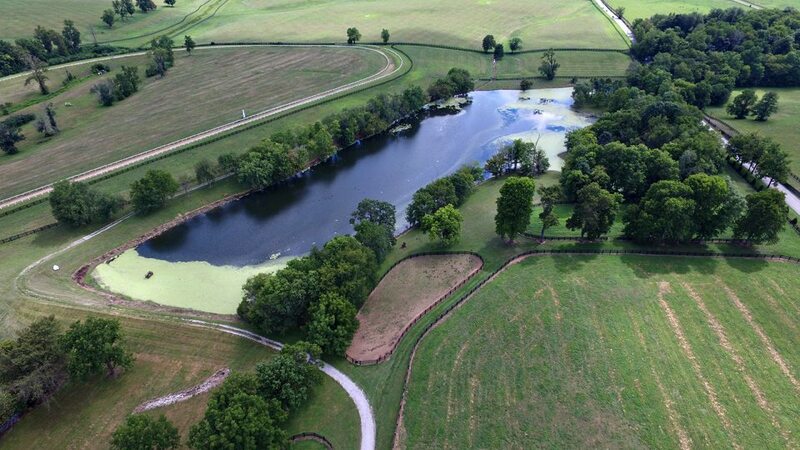 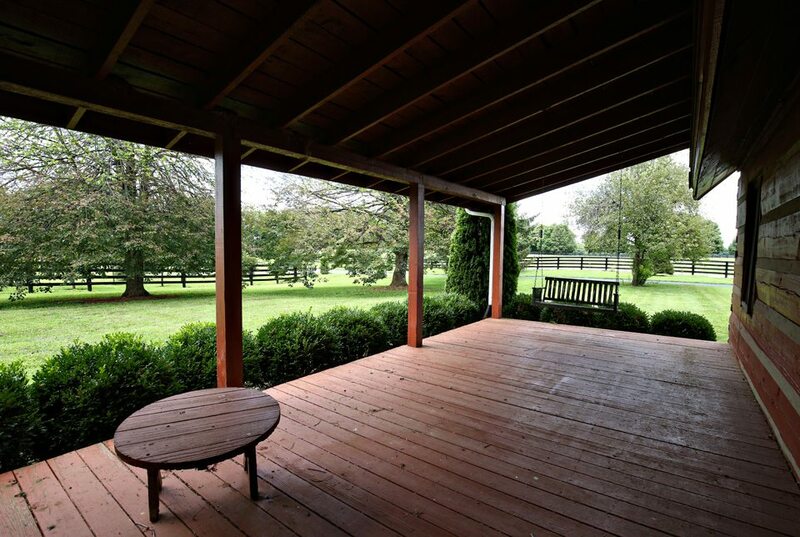 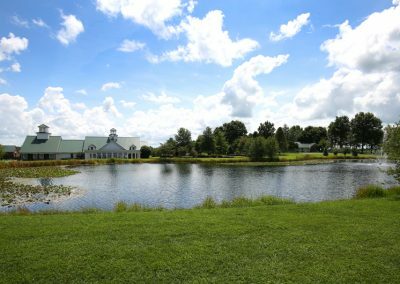 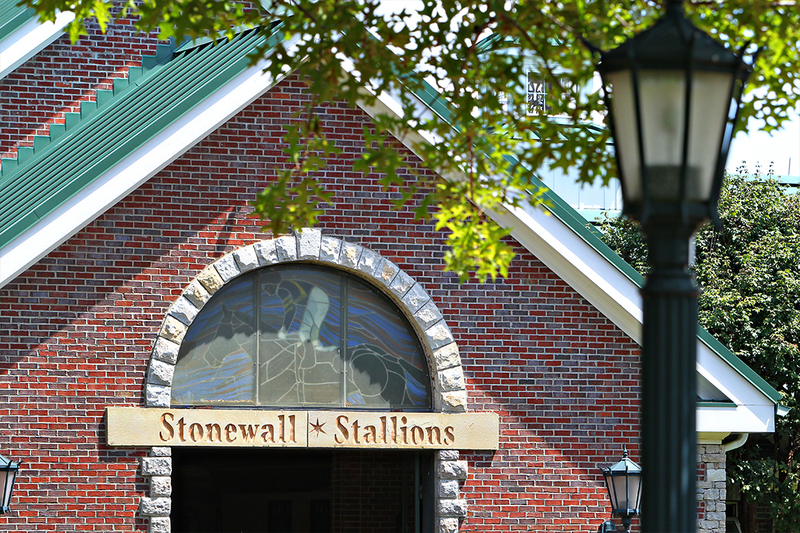 Stonewall Farm has made a significant impression and impact on the landscape of the Kentucky Thoroughbred industry over its 150 years in the business, starting with the Viley family back in 1852. 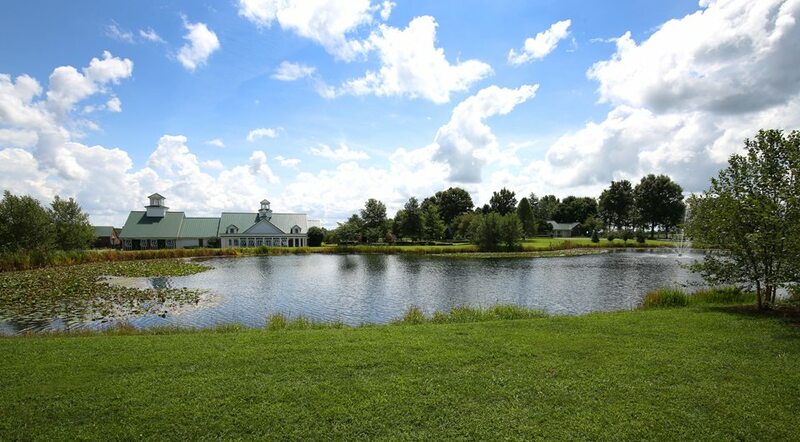 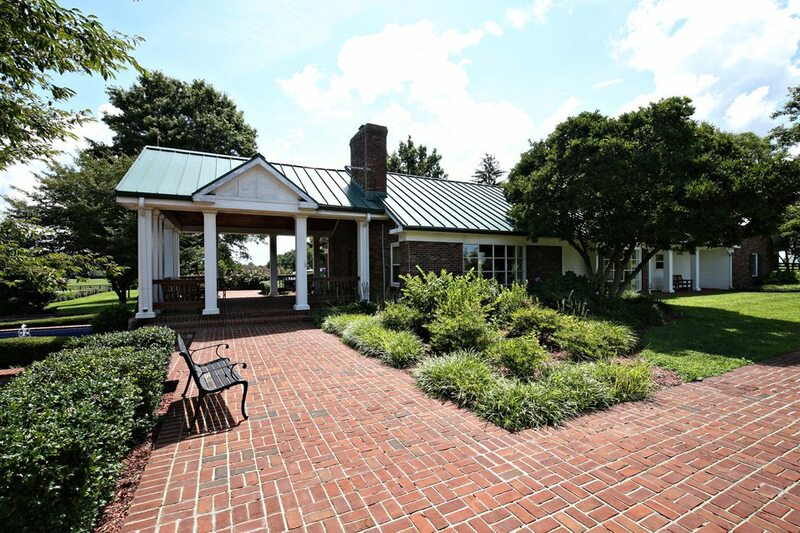 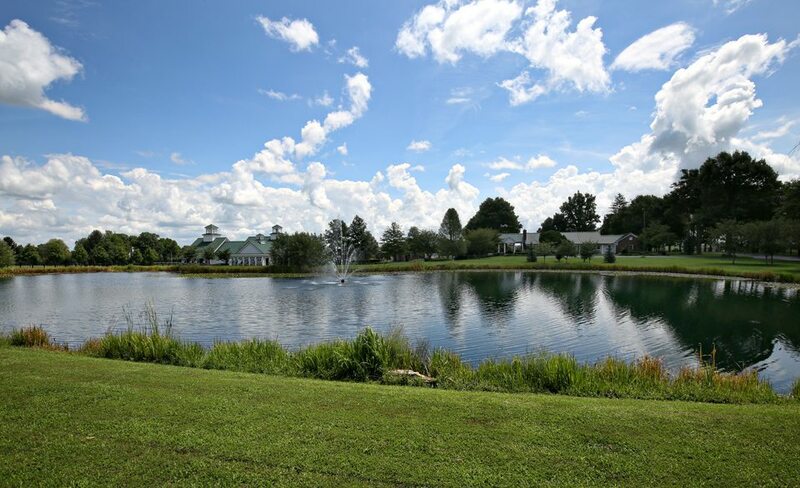 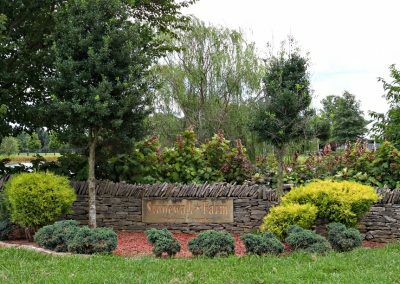 Famously started as a homestead in 1790 the Kentucky families that have owned Stonewall farm have built a strong and proud tradition of achievement. 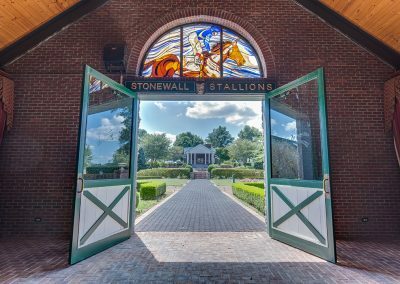 Stonewall Farms has been the home to some of the top stallions in the history of Kentucky thoroughbred breeding like Medaglia d’Oro, A.P. 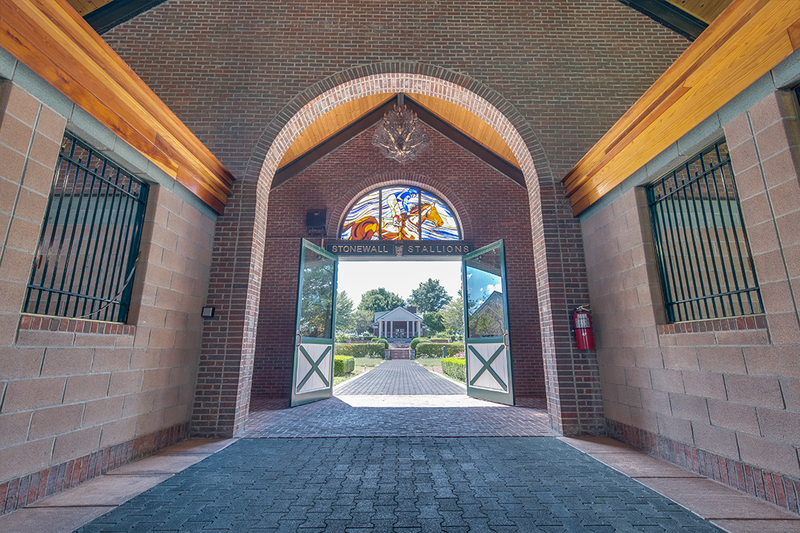 Warrior, and Lawyer Ron, and has also been involved with the breeding and or racing careers of such stellar horses as Lexington, Leroidesanimaux, Marquetry, Doneraille Court and Da StToops. 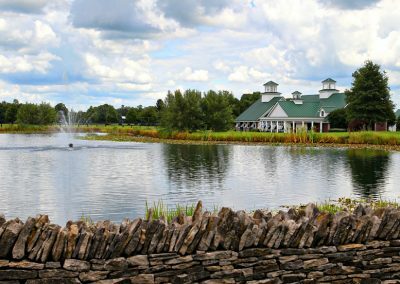 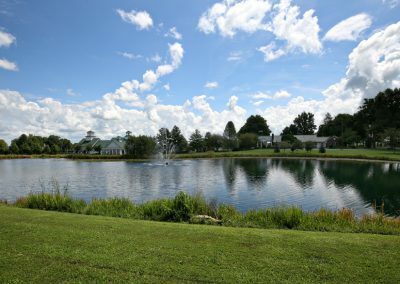 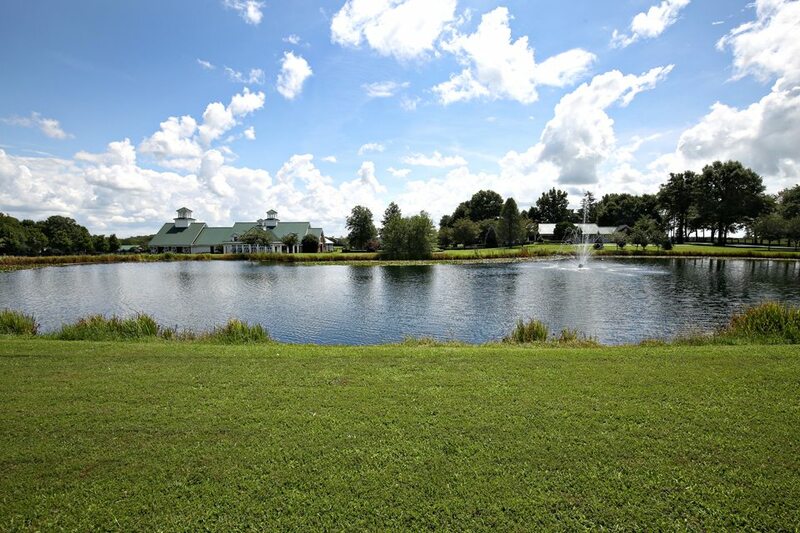 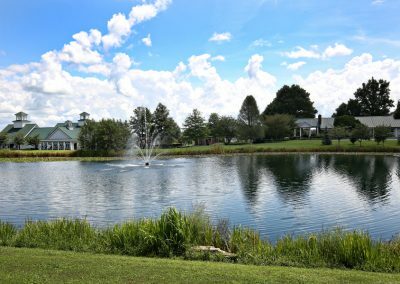 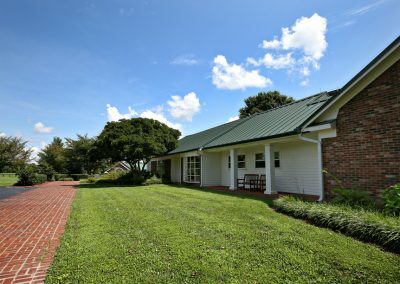 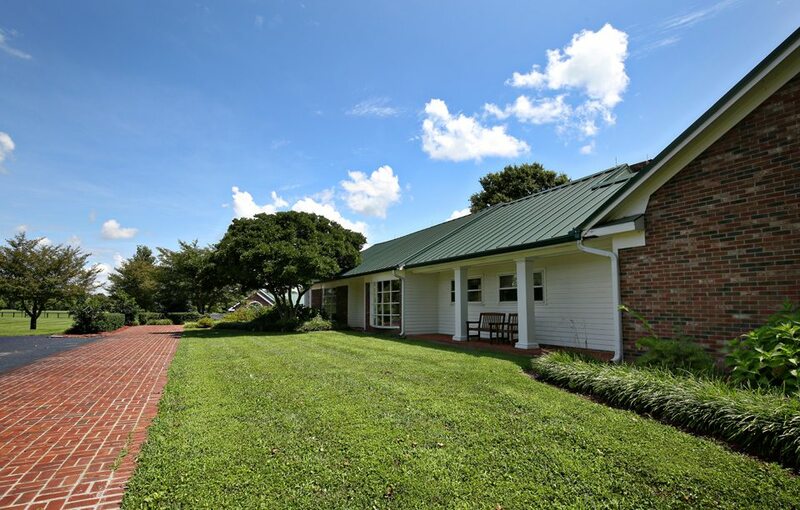 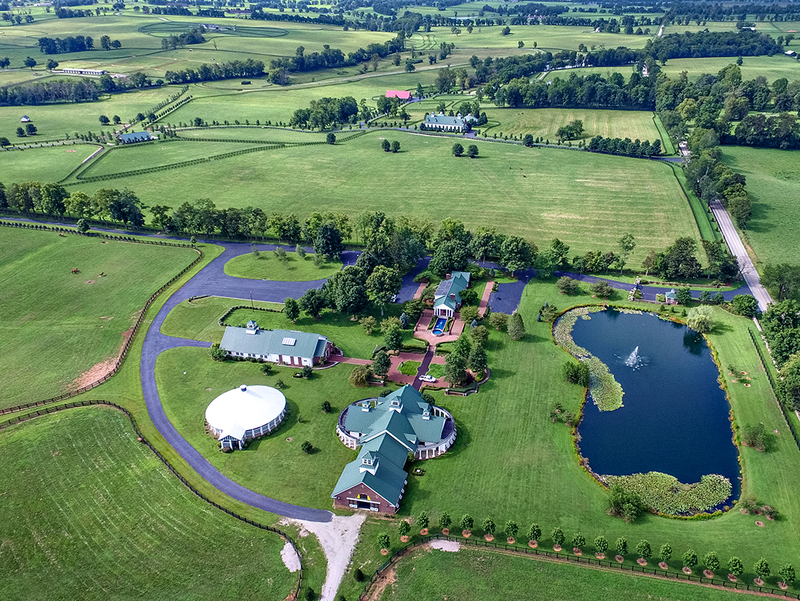 The state-of-the-art horse farm has an extensive farm office connected to a 13 stall stallion barn, built for the champion sire Medaglia d’Oro. 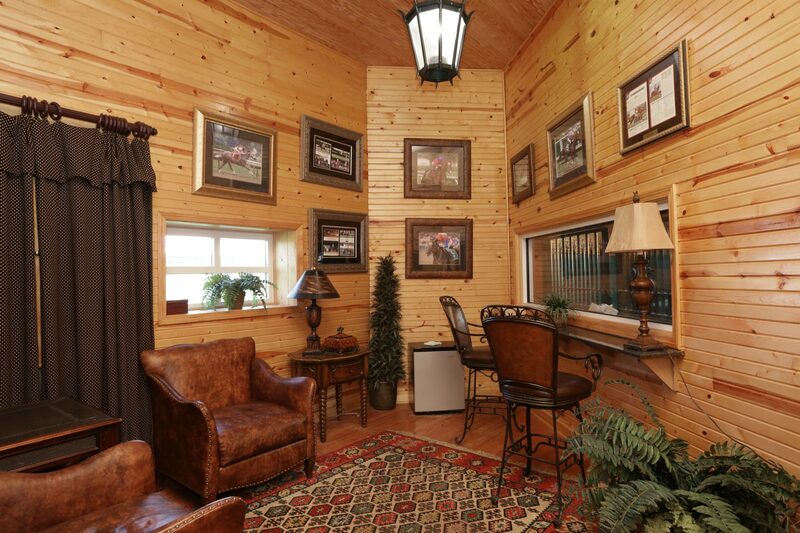 Is also boasts a high-tech breeding shed. 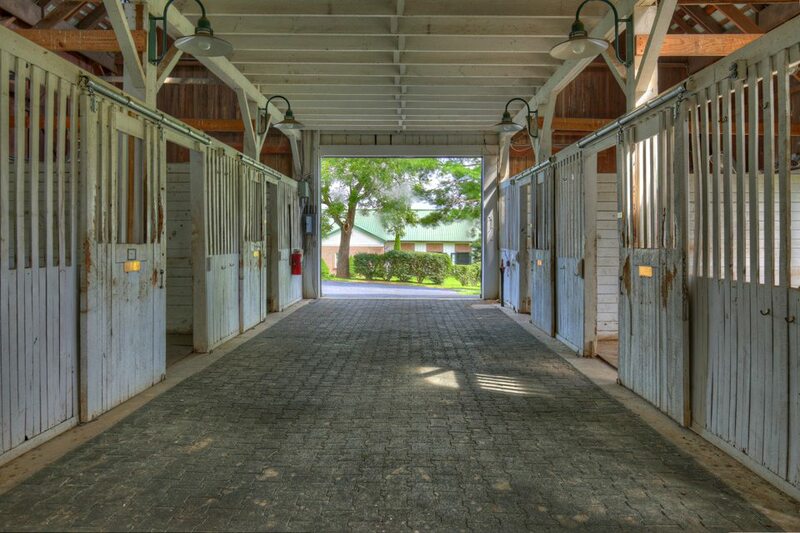 Ten additional barns with 121 stalls are strategically located throughout the property with the 7-furlong gallop. 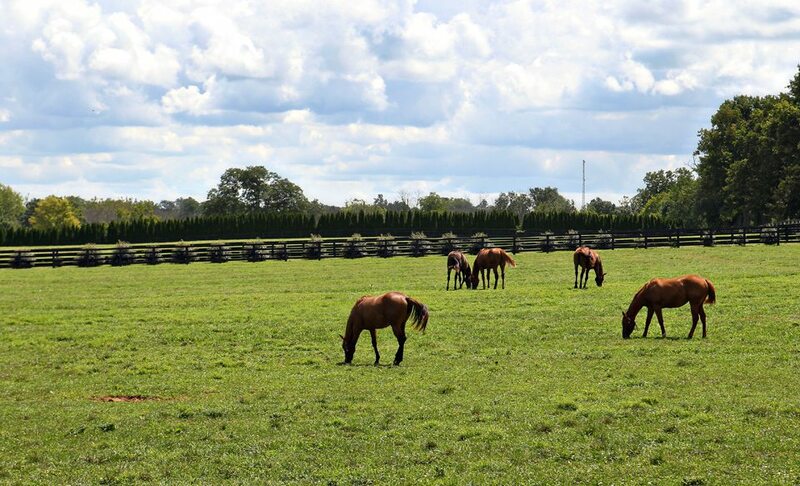 There is a training division on the farm allocated for the breaking and training of young horses. 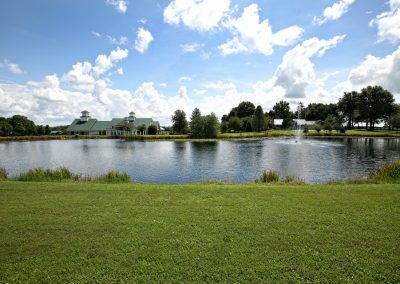 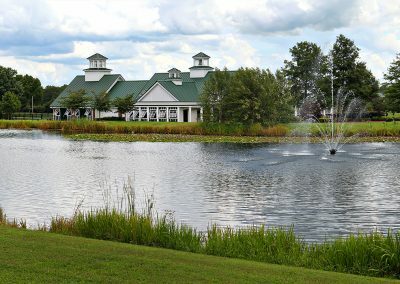 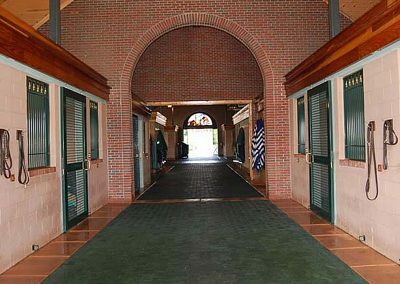 The facility is located directly in the center of all the big names in Kentucky thoroughbred industry, including neighboring Lanes End. 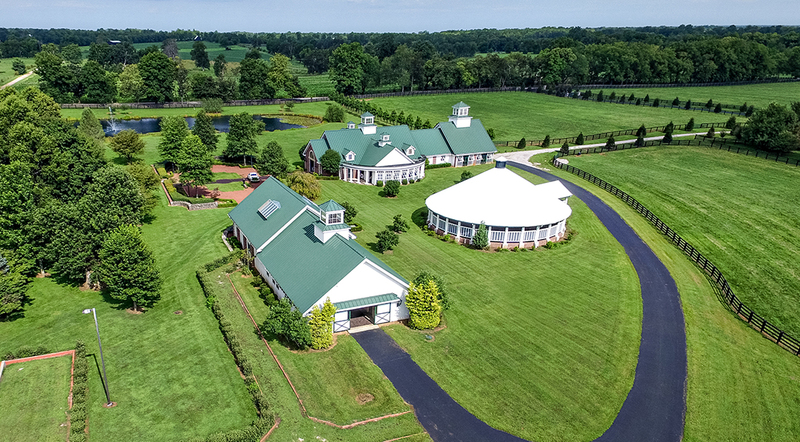 This magnificent stallion barn, built for Champion sire Medaglia d’Oro, rivals or exceeds any high-end breeding operation in Central Kentucky. 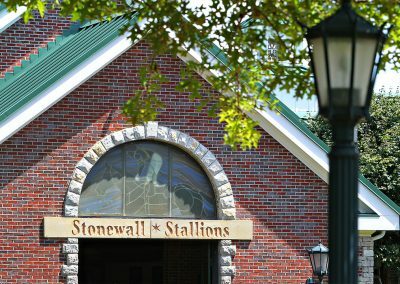 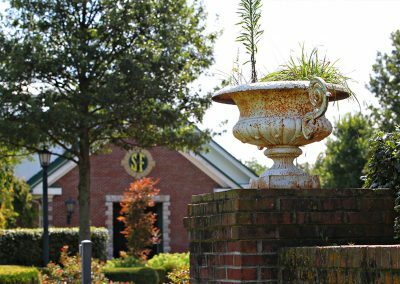 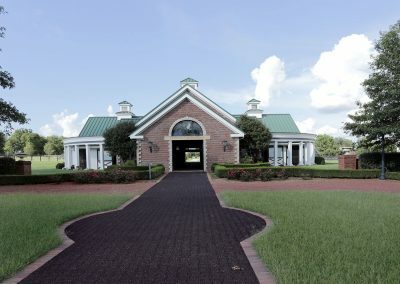 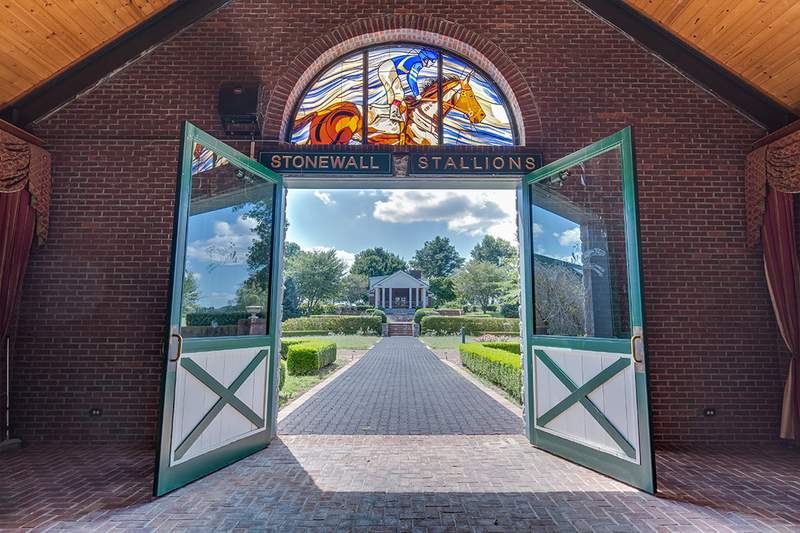 An elaborate well landscaped crushed brick courtyard and rubber paver walkways connect the stallion barn to the office and breeding shed. 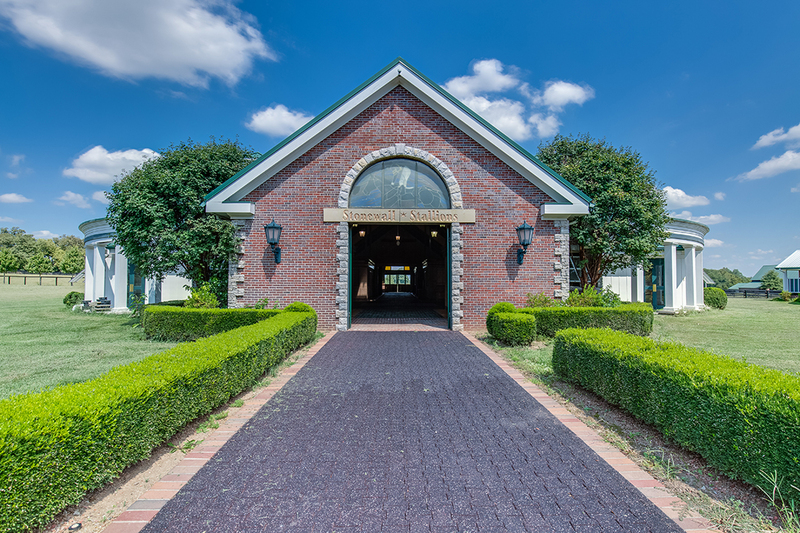 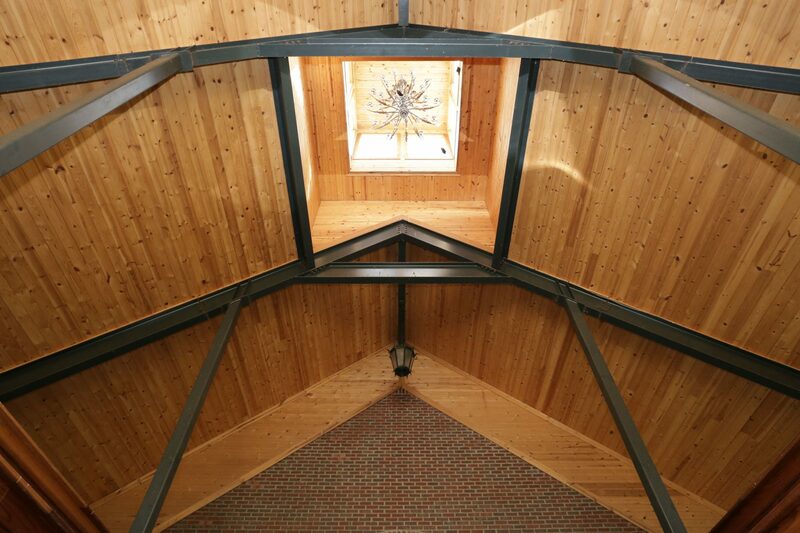 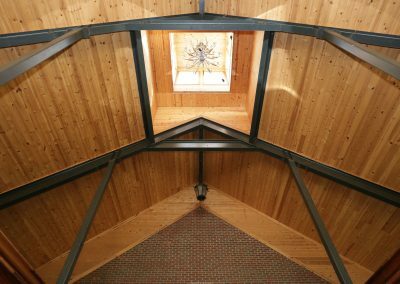 13 cedar-lined stalls, vaulted multitier roof system, 4 cupolas with chandeliers, a 33’ x 71’ indoor showing area and stained glass showcases this state-of-the-art facility. 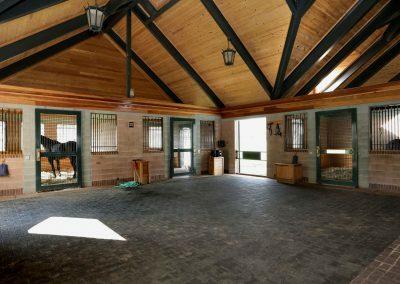 Additional features include a wash bay, small office, and tack/feed room—the interior walls are custom dyed concrete block. 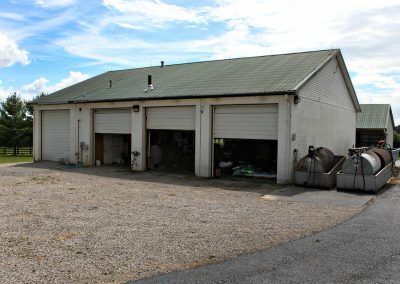 The Breeding Shed: State-of-the-art facility with electronic doors, the large breeding area with skylights and tongue and groove vaulted ceiling, padded walls, and rubber footing. 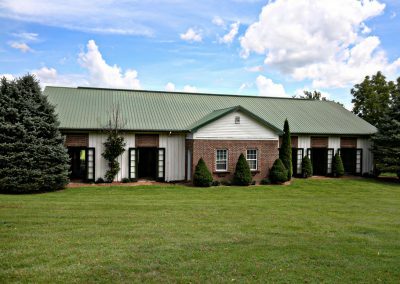 Four holding stalls, a teaser stall, mare/prep area with padded walls, plus a lab and elaborate owner’s viewing area complete this excellent breeding shed. 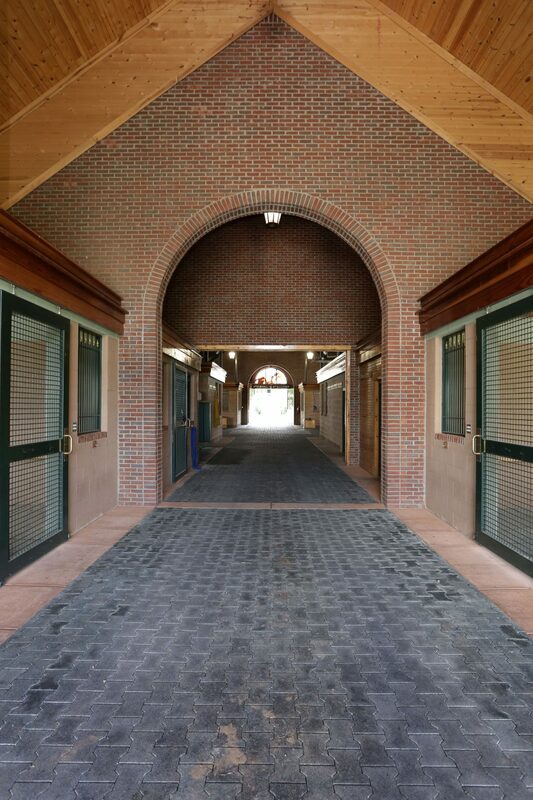 Barn One: Refurbished 18 stall barn with a brick façade on one end. 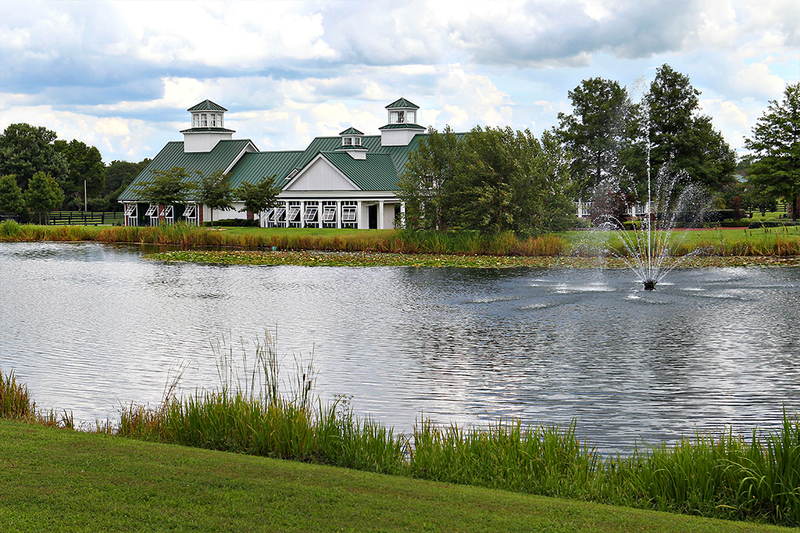 Metal roof with 8 dormers and 2 cupolas with chandeliers. 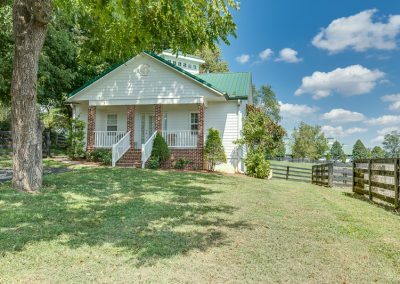 There is a wash bay, double rear metal Dutch doors, a tack room, 15’ center aisle with rubber pavers, and a hay loft over the stalls. 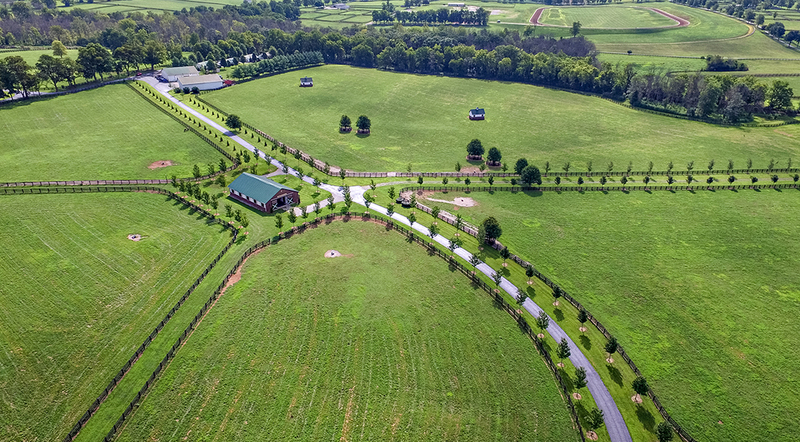 Round Pens: There are two partially open-sided round pens which are 60’ in diameter located adjacent to Barn #1, one of which contains a 6 horse walker. 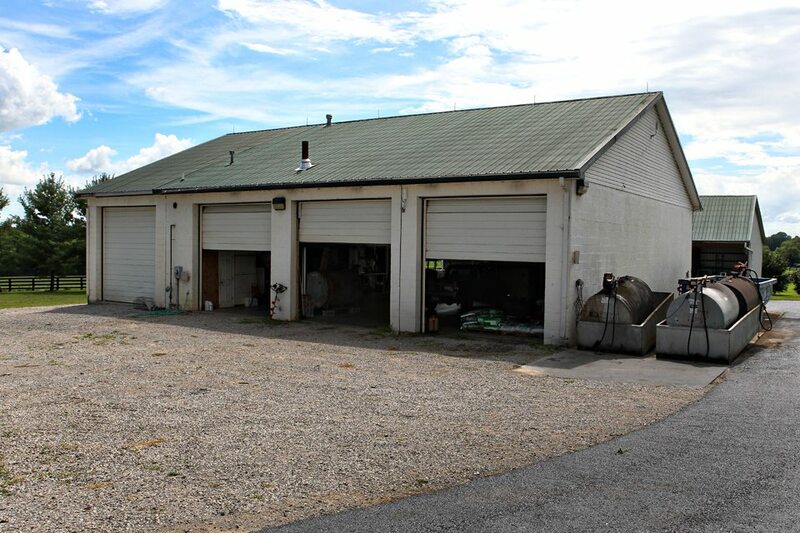 These round pens are separated by a brick aisle way with 2 wash bay. 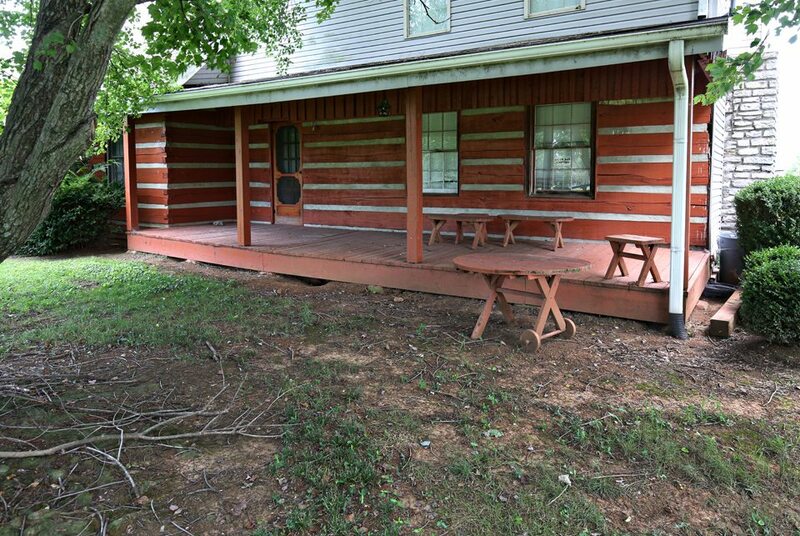 Each has a viewing area and a sprinkler arm. 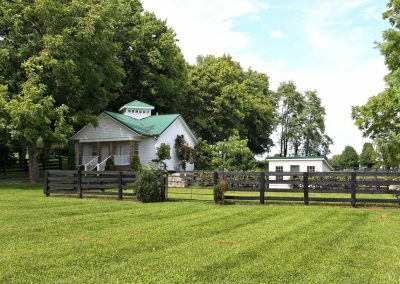 Six Horse Exerciser: The covered exerciser is of open-sided brick and siding construction with a metal roof. 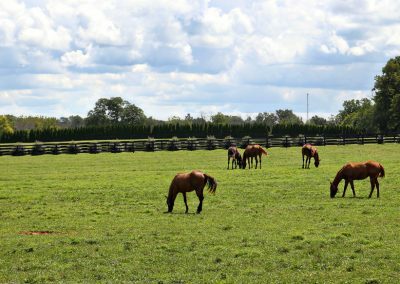 It also has rubber-grid flooring which prevents the horses from creating a rut as they exercise and has rubber padded siding to keep the wood siding from being damaged. 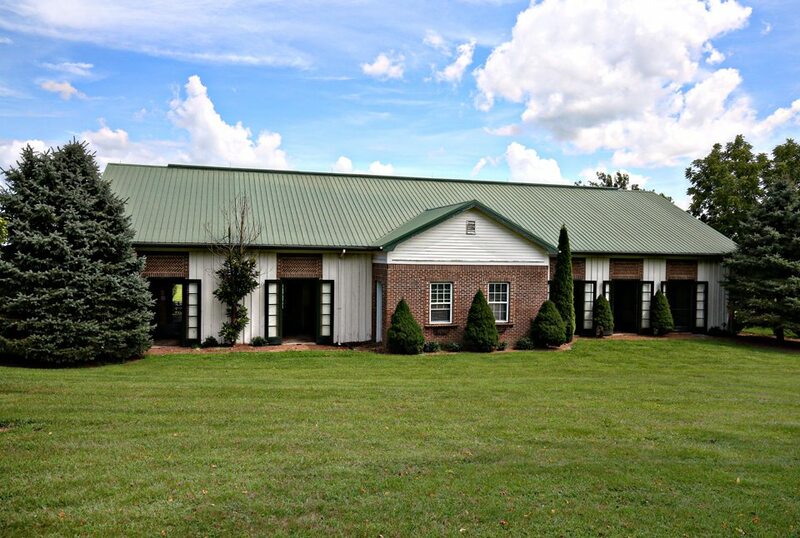 Barn #2: This converted tobacco barn has a newer metal roof and a new brick façade similar to Barn #1. 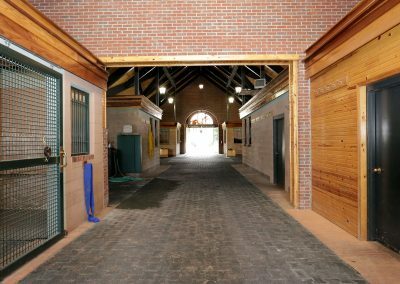 The interior has 12 “rough out” stalls (11’3” x 9’4”) with automatic waterers and stall mats, a 9’2” rubber-paver center aisle, and a full loft. 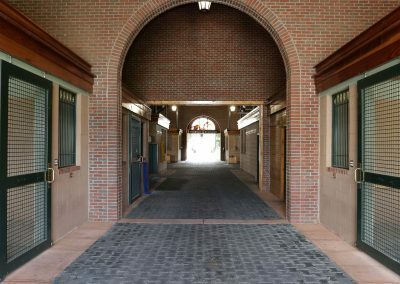 There are also eight new double stalls (12’ x 24’), four on each side, that open to an outside shed-row. 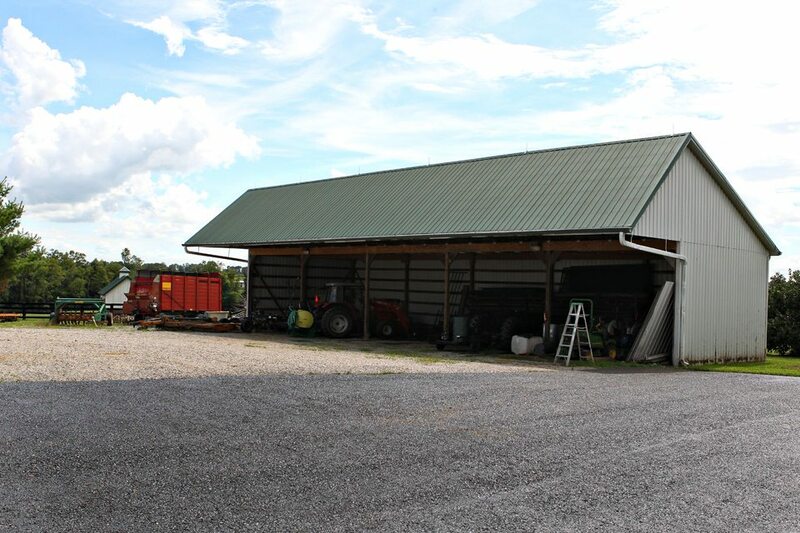 Barn #3: 10 stall brick and wood siding barn with a metal roof. 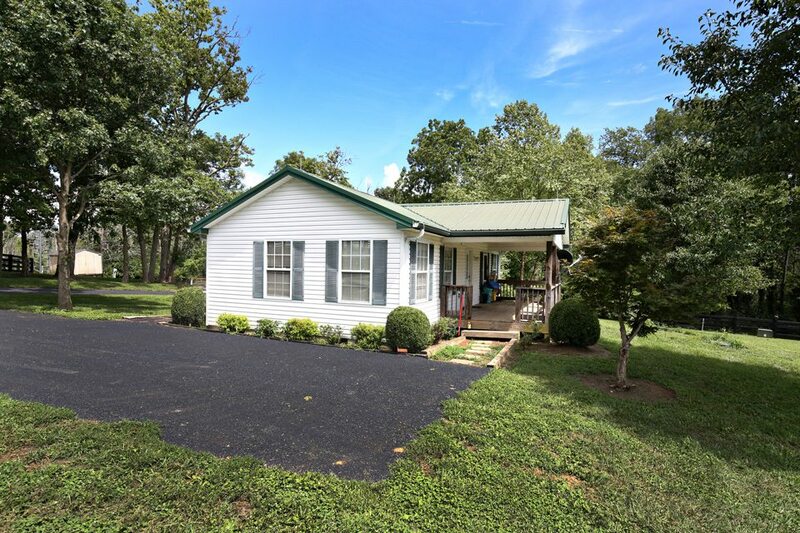 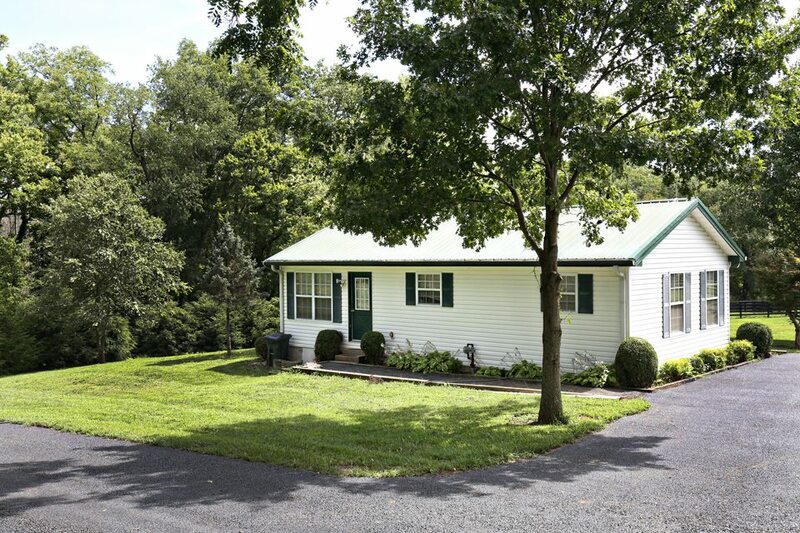 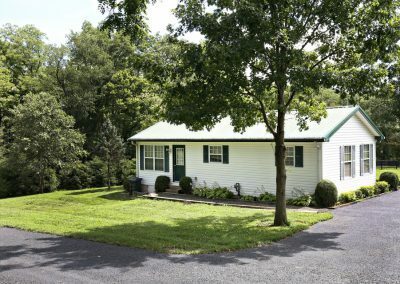 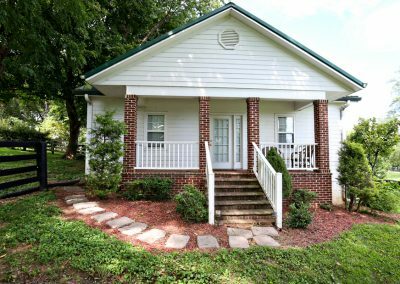 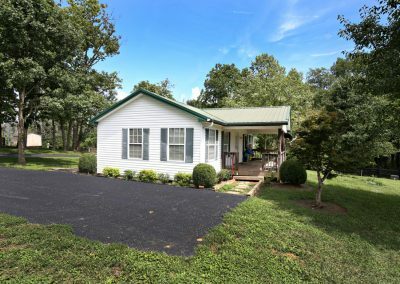 Highly refurbished with wood-paneled barrel ceiling; a wash stall; double rear doors; two room office with half bath and separate entrance; paneled tack roof with cabinetry; and a 14’ rubber paved center aisle. 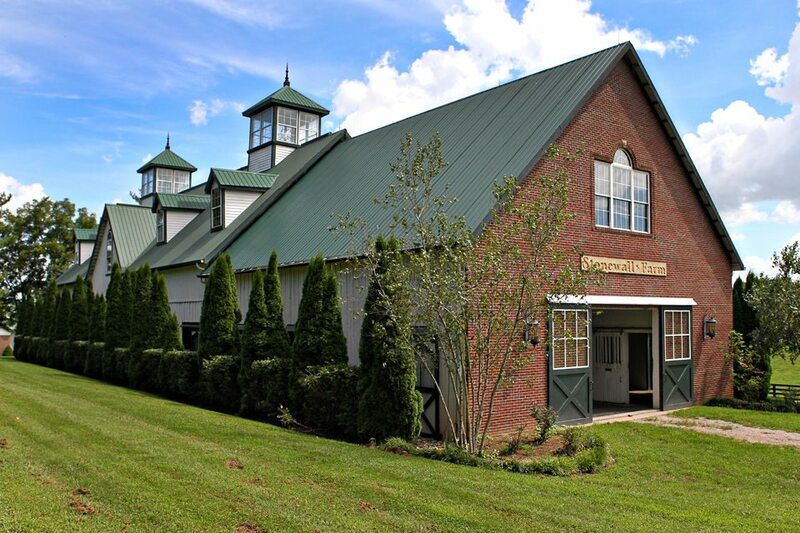 Barn #4: 16 stall barn with metal roof, eight dormers, two cupolas—each with a chandelier. 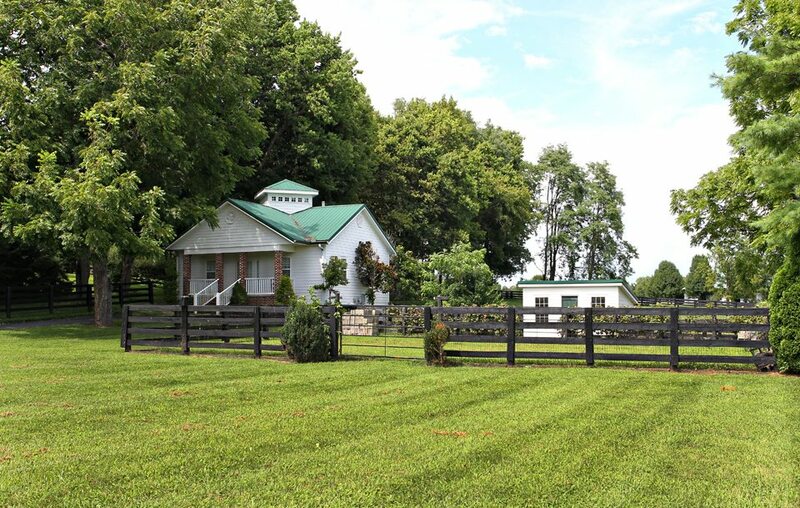 Wash stall, tack and storage rooms; 14’ center aisle with rubber pavers; double rear doors; and some loft hay storage. 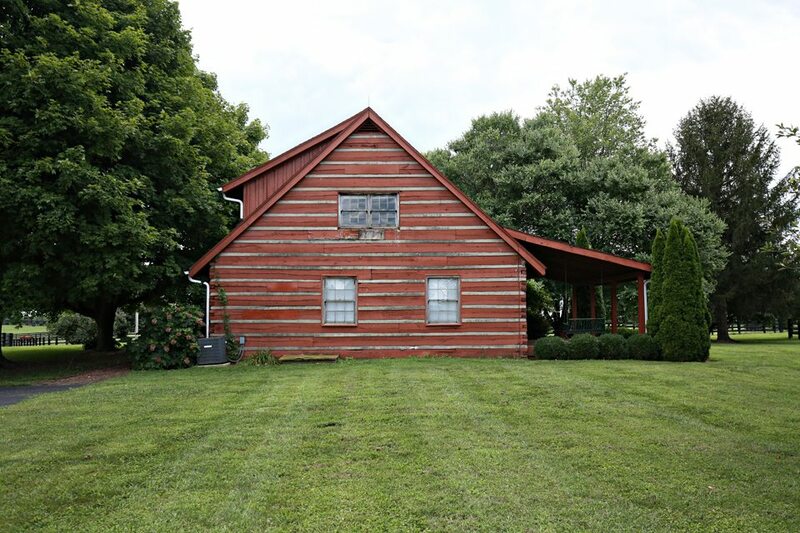 Barn #5: Converted tobacco barn with metal roof and brick façade on one end. 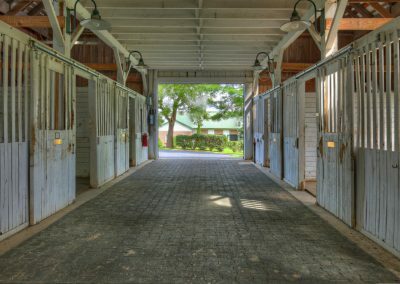 Contains 10 interior stalls and 6 stalls added to one enclosed side of the barn. 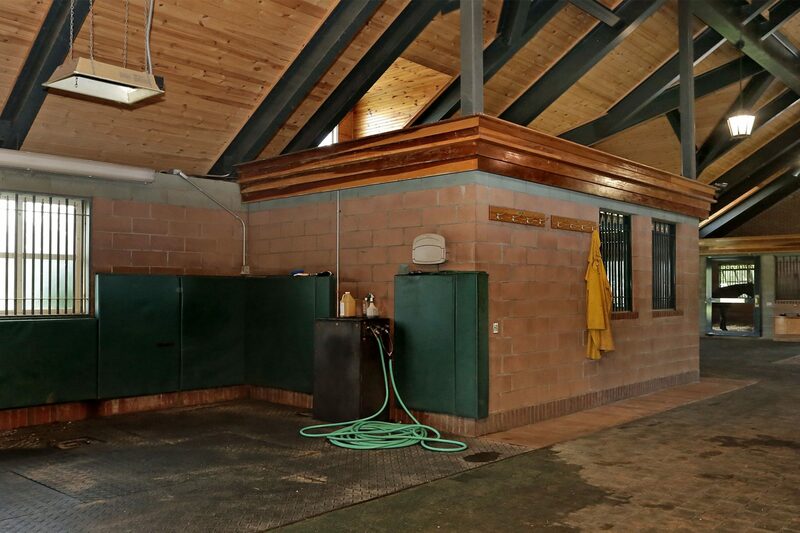 Wash stall, heat lamps, 15’ center aisle with rubber pavers, a heated office with cabinetry, and feed bin. 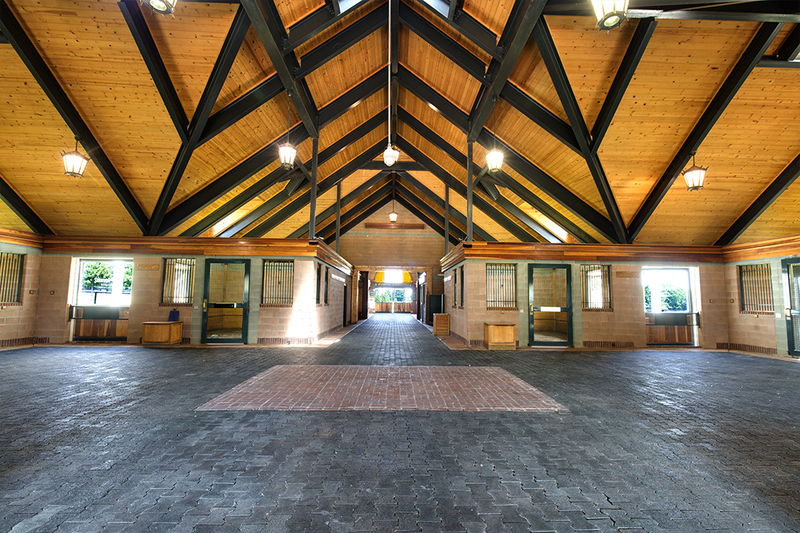 Barn #6: This barn contains approximately 5,184 square feet and is a combination hay storage/horse barn. 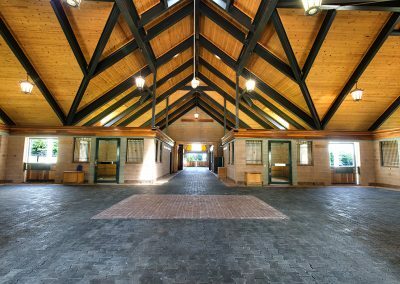 It is comprised of wood siding and has a metal roof, 10 stalls, and a large storage area. 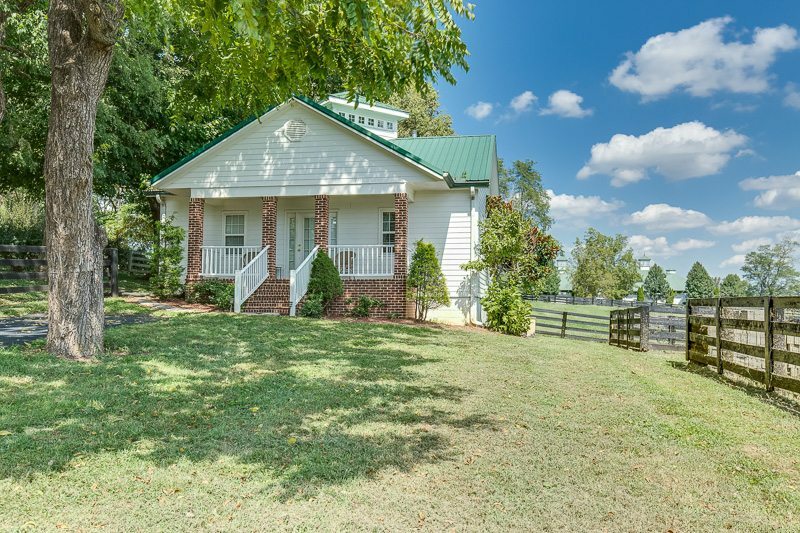 This barn has brick siding on two sides. 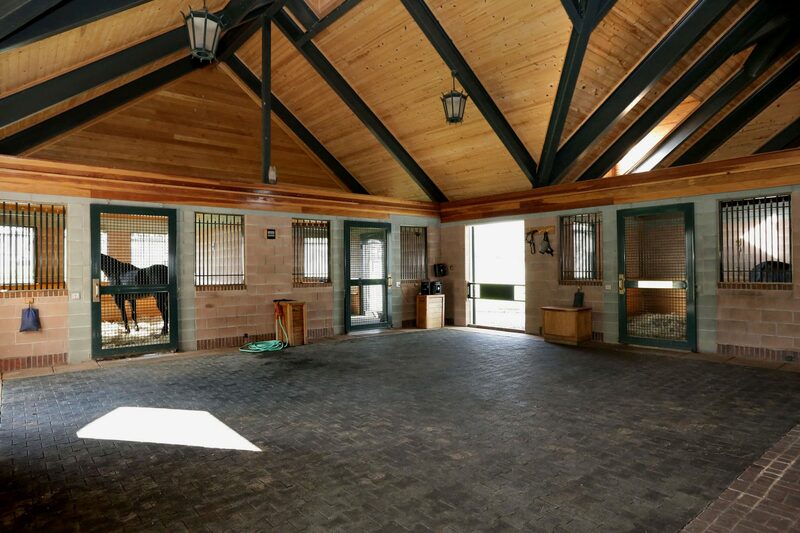 Barn #7: 10 stall relatively-new barn with brick and wood siding plus a metal roof. 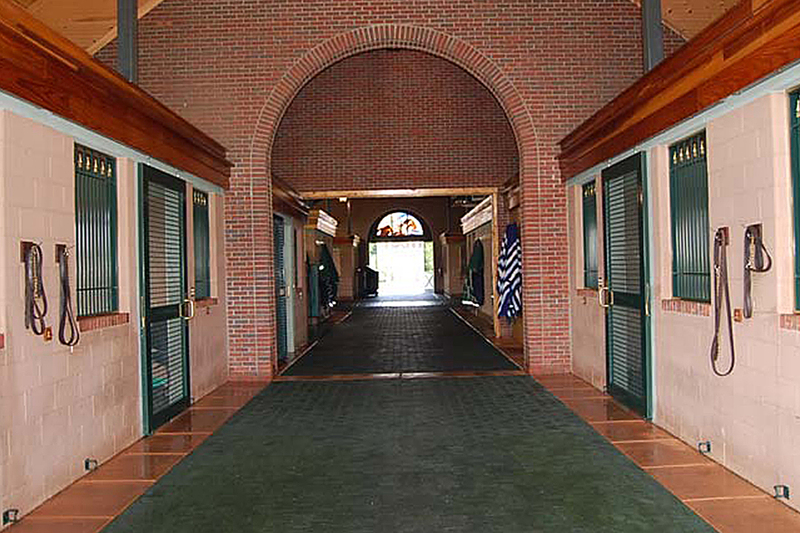 15’ center aisle with rubber pavers, wash stall, and a heated tack room. Barn #8: 6 stall foaling barn—relatively new. 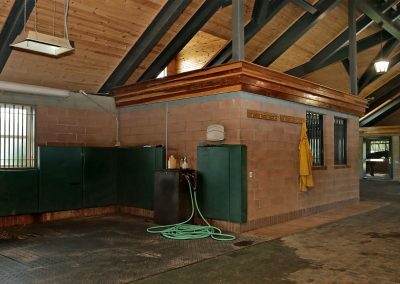 Two foaling stalls measure 13.5’ x 21’; metal roof; heated tack room; wash stall; center aisle with rubber pavers; heat lamps; and an insect spray system. 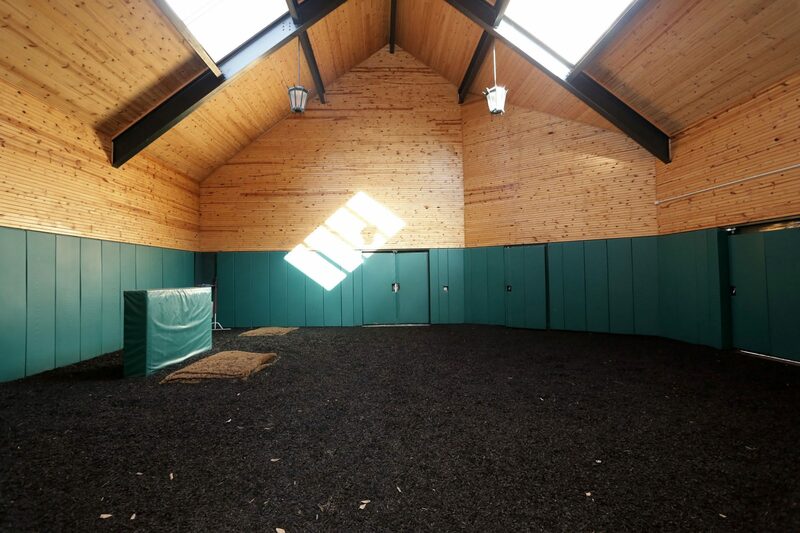 Barn #9: 8 stall relatively-new barn. 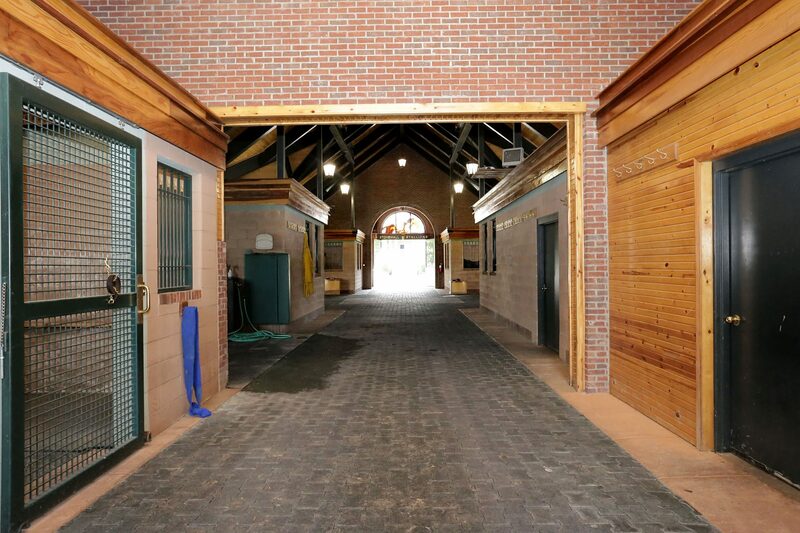 Double rear doors; wash stall; 14’ center aisle with rubber pavers; and tack room. 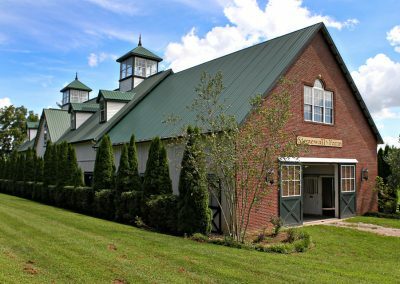 Weanling and Yearling Training Centers: Two open-sided structures with brick siding and a metal roof. 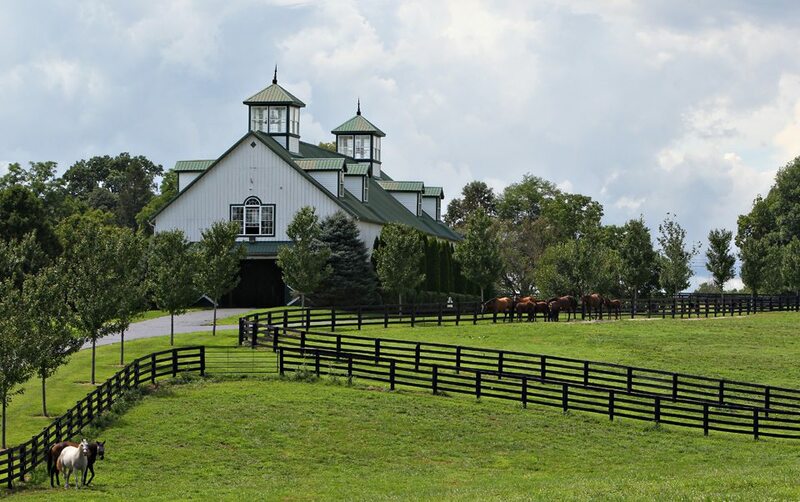 One has a 6 horse walker; the other a round pen—both with rubber footing and adjacent to horse barns. 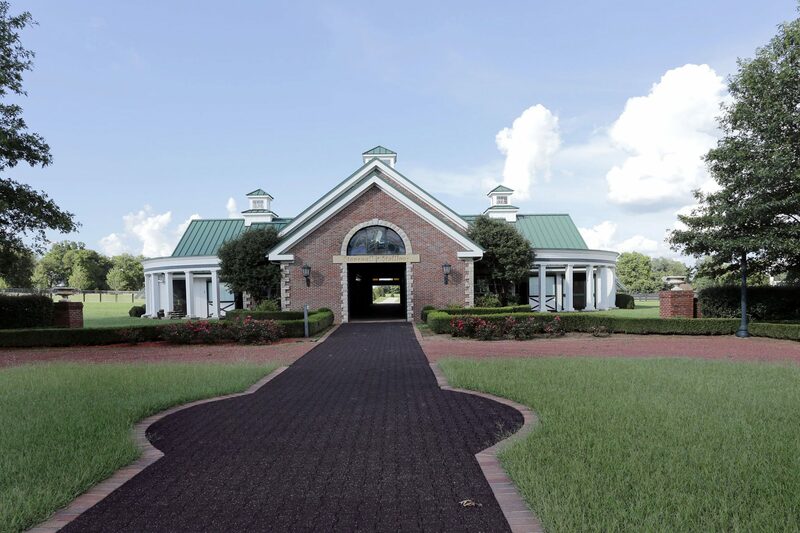 In conjunction with the training center, the farm has a 7-furlong training track that is currently being utilized. 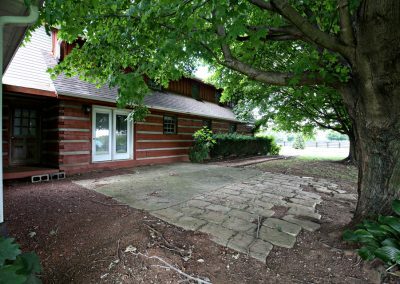 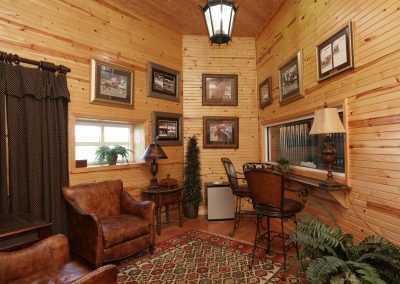 Office: The remodeled farm office comprising approximately 5,500 square feet whose interior has ben refurbished with the highest quality materials. The exterior includes a portico and covered brick walkway and patio. 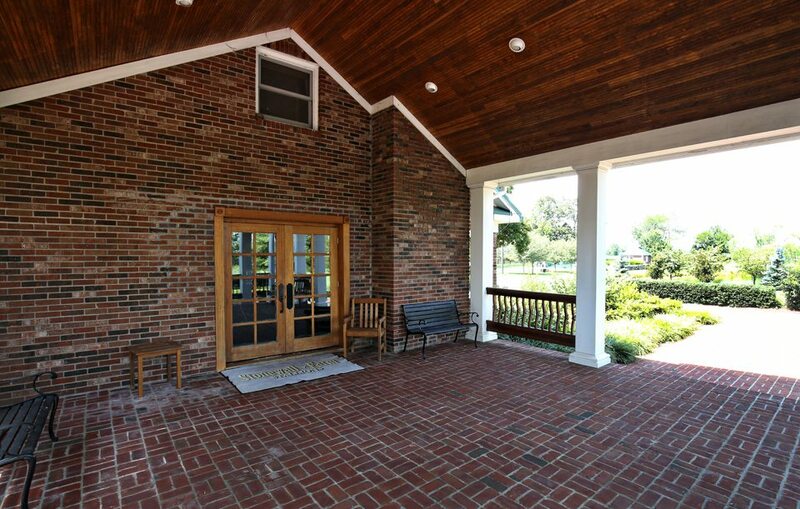 Ample visitor parking is provided in the front with the rear area providing employee parking. 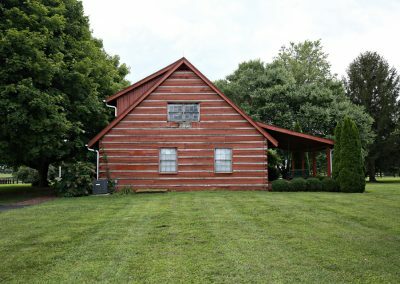 The first floor consists of 7 offices, a bath and a half, and small kitchen. The upstairs contains 2 offices, a half bath, and mechanical/storage room. 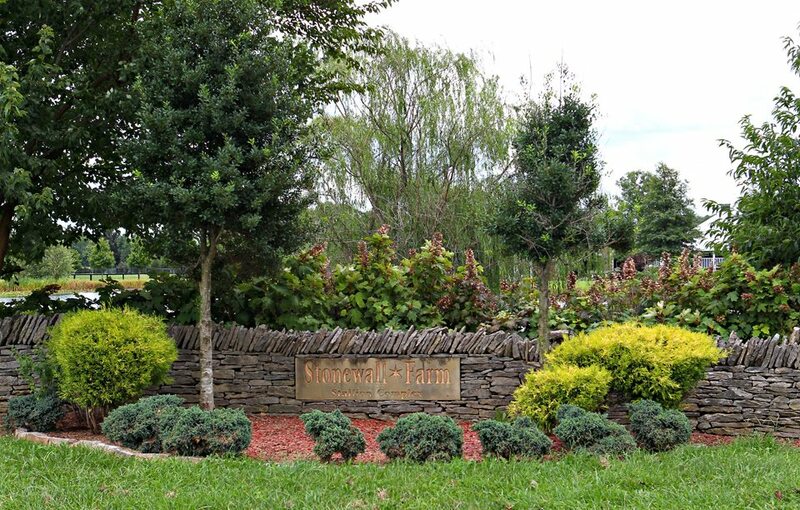 Brick sidewalks, a fountain, and mature landscaping add to its charm. 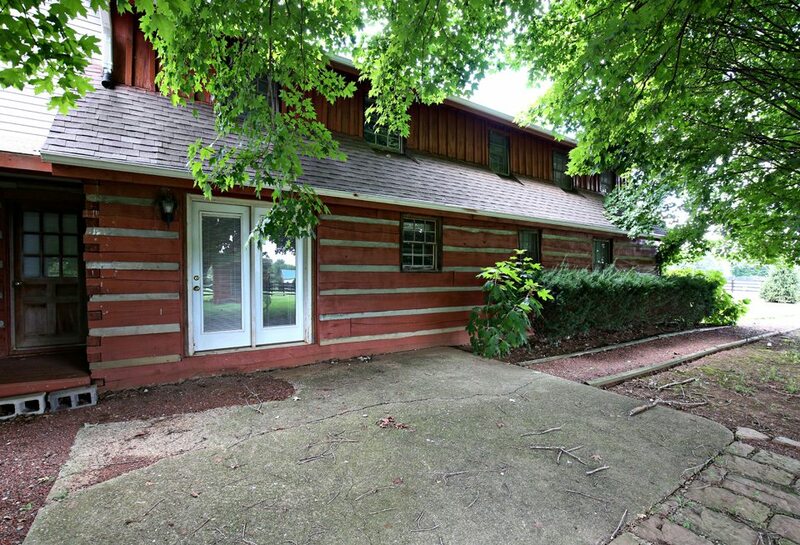 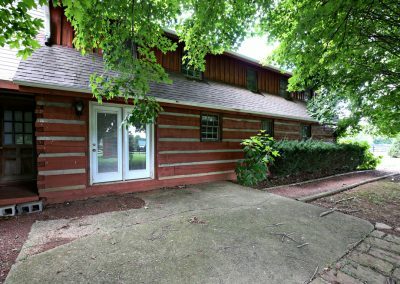 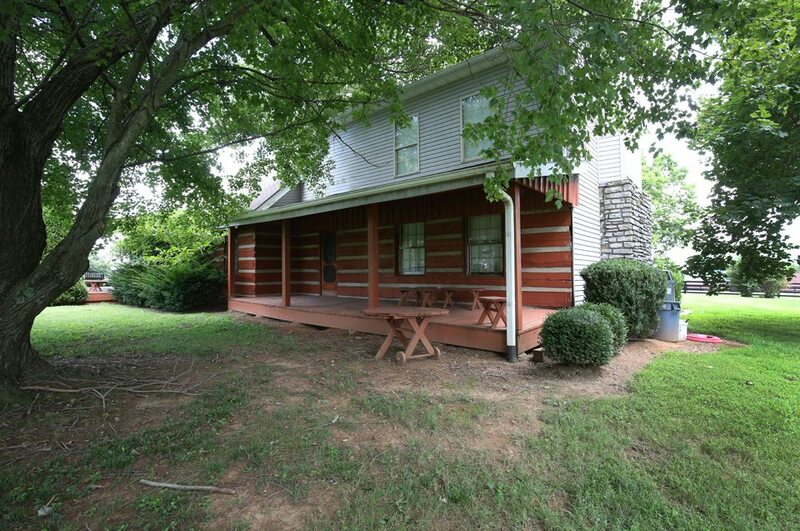 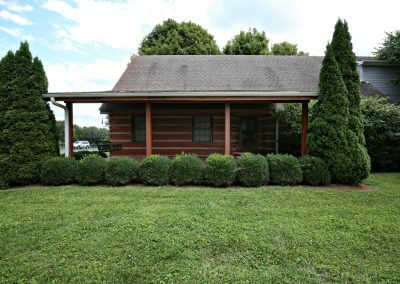 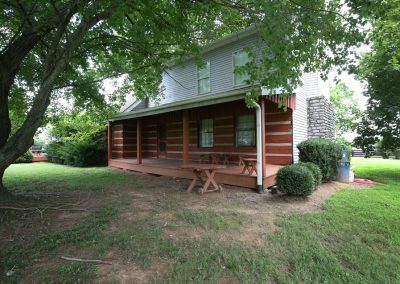 Log cabin with approximately 3,500 square feet has been converted into a triplex. 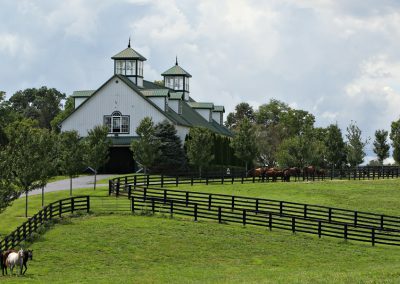 Four employee houses located on one section of the farm. 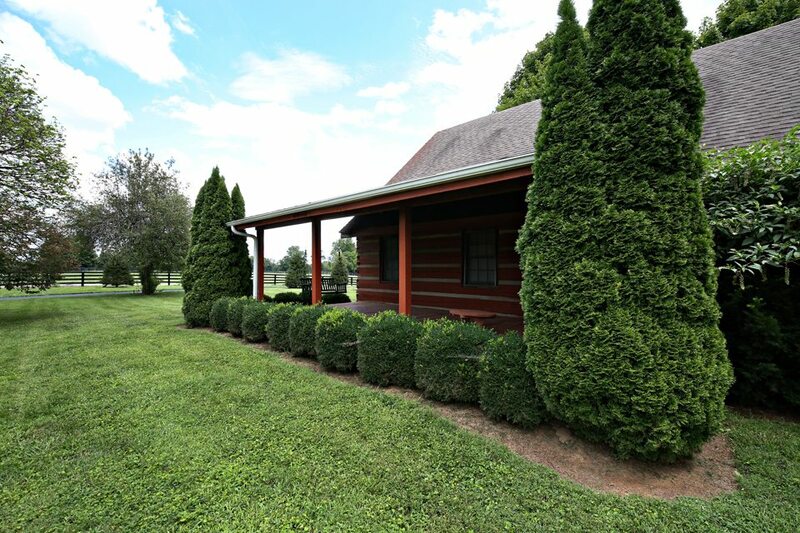 Refurbished guest house located at the rear of the main residence. 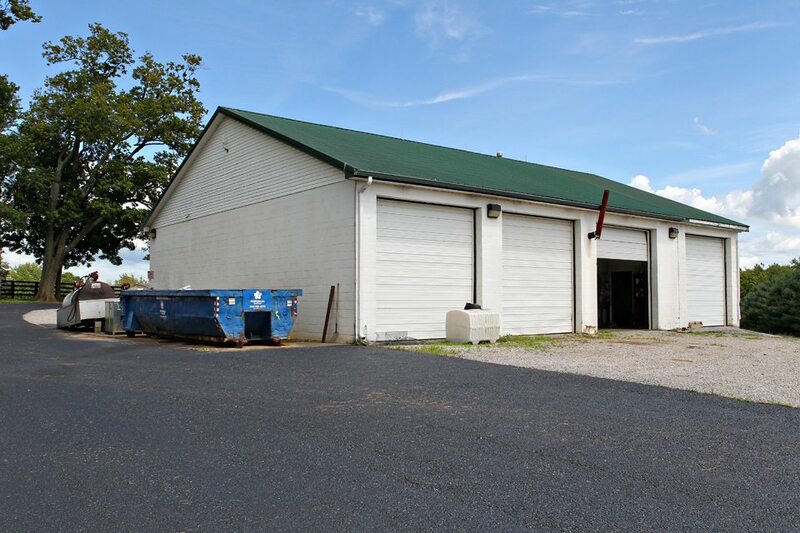 50’ x 64’ concrete block shop with 4 sets of overhead doors on each side. 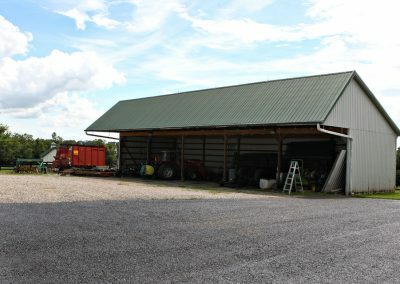 24’ x 80’ open equipment shed with 13’ overhang. 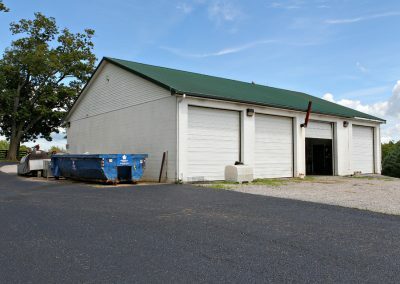 Two 16’ x 24’ run-in sheds with brick and metal siding. 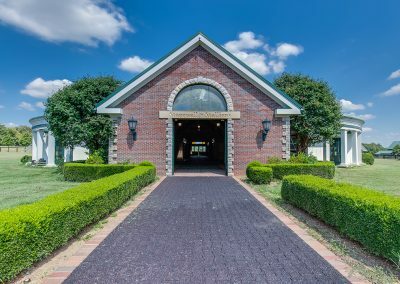 6 horse (brick, stone, and wood) covered exerciser adjacent to the stallion barn. 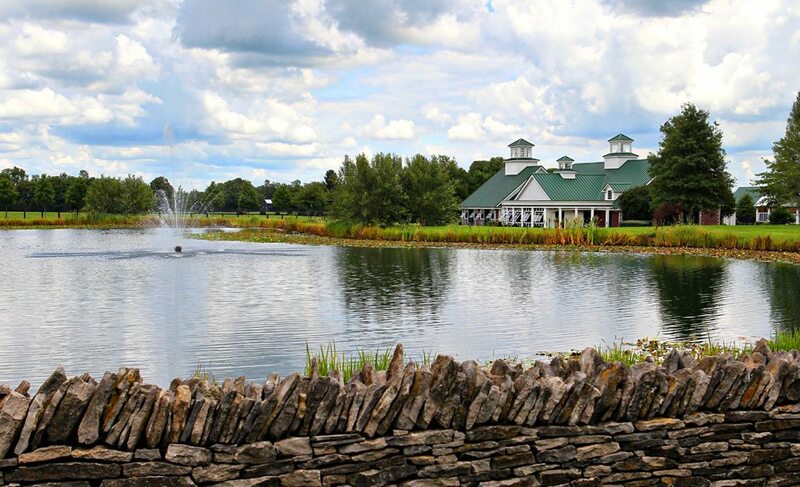 Over 3,000 feet of stone fencing along the frontage. 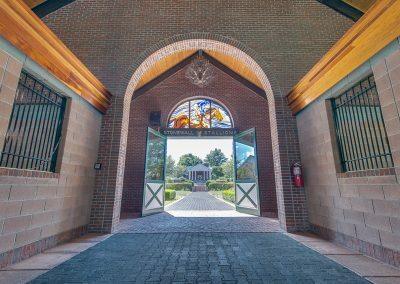 Three elaborate stone entrances with automatic gates. 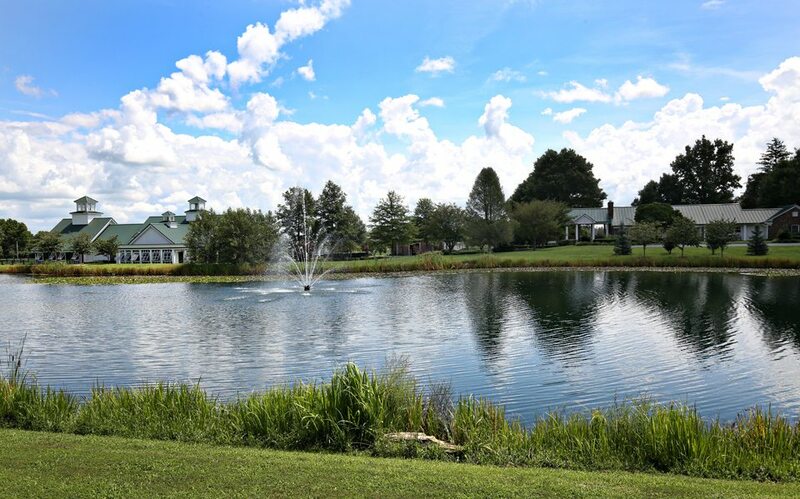 Large pond with five fountains. 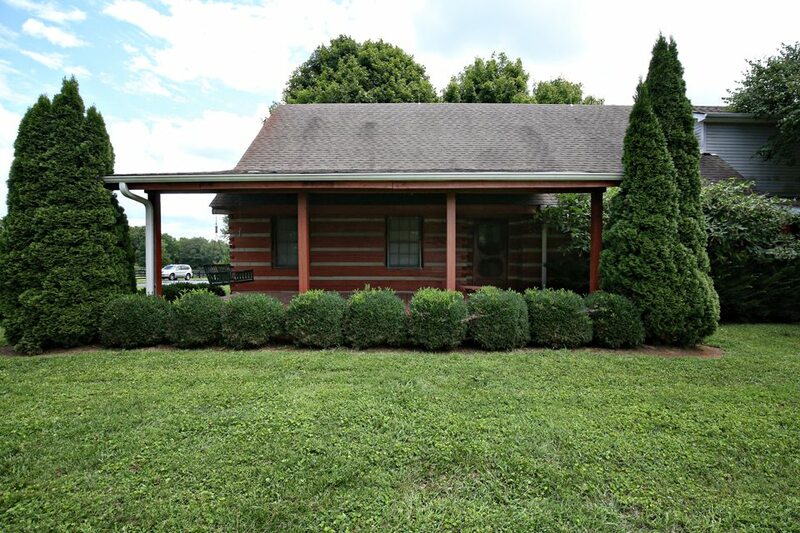 Guard house with brick siding and stone corners.